Globally renowned electronic trio Boreta (Justin Boreta), edIT (Ed Ma), and Ooah (Joshua Mayer), aka The Glitch Mob, have just unveiled the visual component to their eagerly anticipated album See Without Eyes, out now on their label Glass Air Records. Watch it below! The See Without Eyes visual album can only be described as an empowering work of art, a body of work that is clearly a result of endless hours of meticulous grind. The creative mind behind the mesmerising array of visual stimuli is none other than famed production company, Strangeloop Studios. LA-based A/V artist Strangeloop has worked side by side with some of the biggest names in the industry today. Pharrell, The Weeknd and Kendrick Lamar are just a few of the artists that have worked with the game-changing studio. Every video on the album takes the viewer on a different route, in an almost psychedelic journey into the future, built in a 3D, Virtual Reality environment. All 11 tracks on the album take a different shape, but the recurring theme of self-discovery is evidently present throughout. 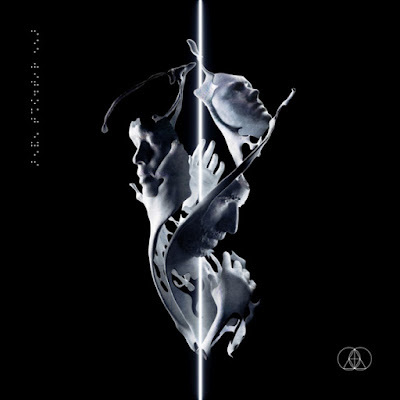 In addition to the visual album, The Glitch Mob have released a preview video for their revamped live setup, Blade 2.0, which they’re about to take on tour all across North America. The tour is kicking off in Edmonton, CA this Friday May 11th, and will run until the end of the summer.